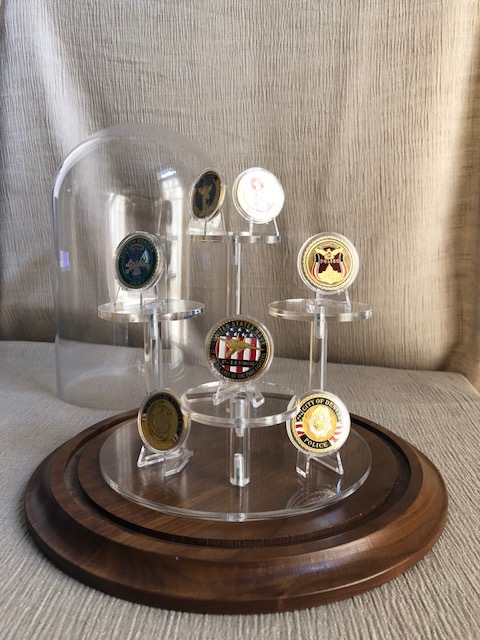 This unique challenge coin display is perfect for displaying anywhere from 5 to 33 challenge coins. 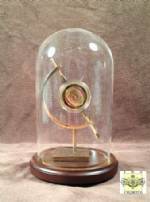 Available with a walnut or oak base, this hand blown 12" x 12" glass dome comes with an acrylic 5 place pedestal riser and 33 acrylic easels. 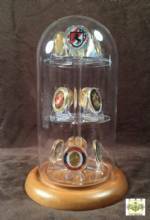 Each platform can hold up to 3 easels and the base can hold even more. 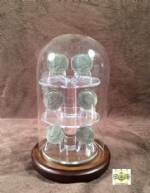 (Platform insert requires minor assembly) Also available with a lazy susan attachment for the dome base which can be easily glued to the wood base so that all of your coins are visible without upsetting your display. 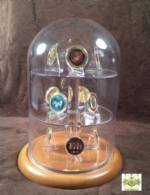 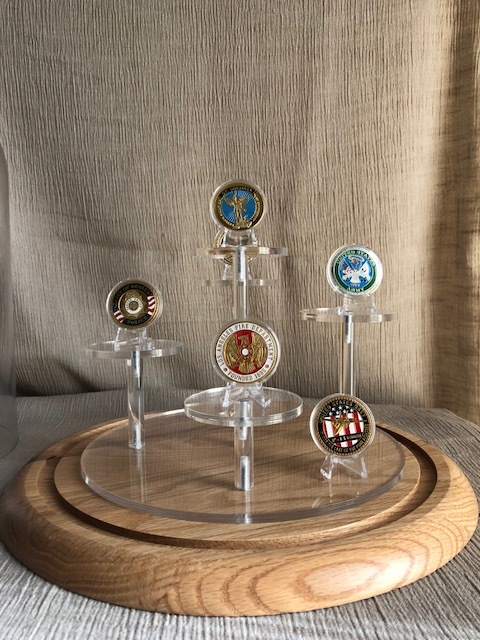 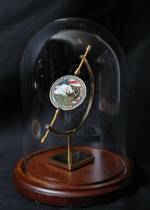 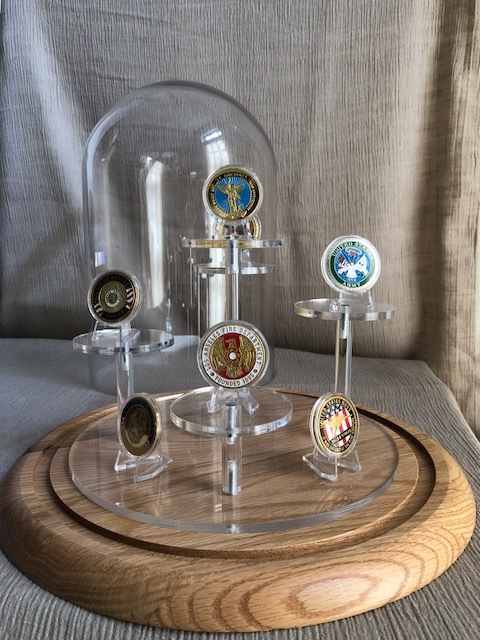 A beautiful way to protect and display those prized challenge coins. 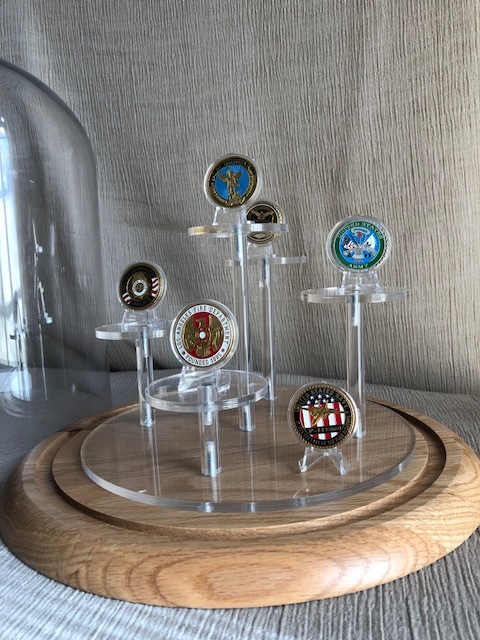 Perfect for military, police and fire retirement and promotion gifts.